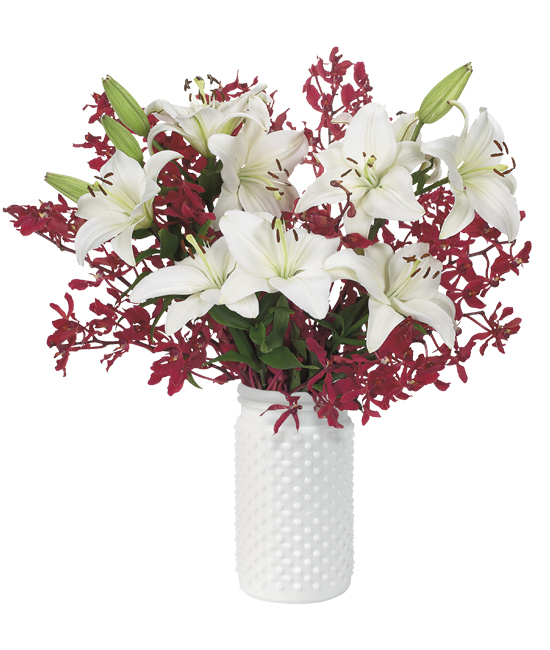 This exotic bouquet pairs showy white Asiatic lilies with a plum-burgundy aranda orchid called Azimah. The 15″ – 17″ multi-blossomed sprays make for long-lasting seasonal décor that’s untraditional and undeniably elegant. To add to its showy appearance we’ve displayed it in our white hobnail glass vase for a beautiful finish. Trim ½” from the bottom of each stem by making a diagonal cut. Arrange lilies and orchids allowing them to fan out. 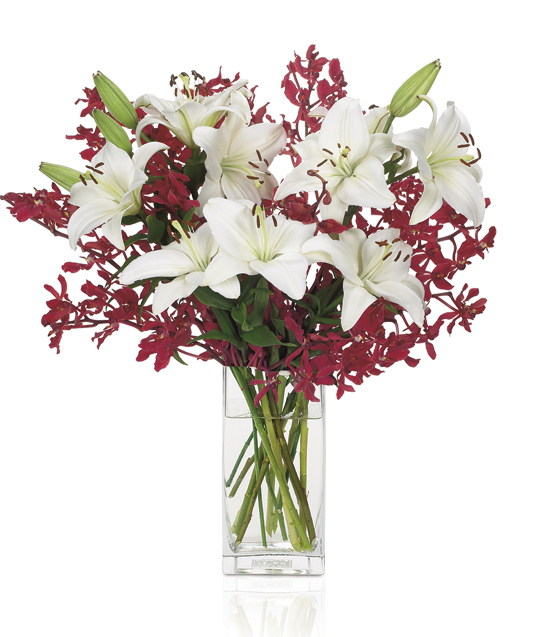 As your lilies open, you may gently pull off the pollen anthers to avoid pollen dust. To remove any traces of pollen from clothing or furniture, lift it off with sticky tape. Clothing or linens may also be laid out in direct sunlight before washing. Do not allow any blooms to be underwater. If you must, simply remove the blossom from the stem. Always add fresh water daily and trim away spent blossoms as your bouquet ages and rearrange. 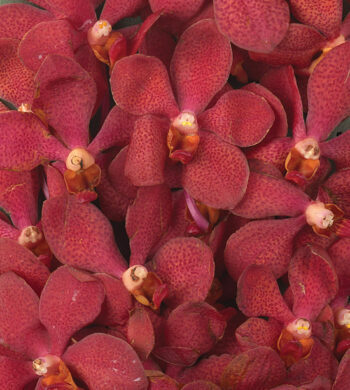 Typical orchid buds may gradually open at the tips of each stem, although most do not.